Standard Chartered has been appointed by Ant Financial to be the “core partner bank” for its new blockchain cross-border remittance solution. 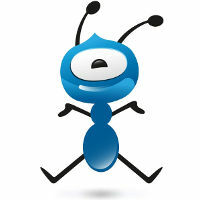 Like many others, Ant Financial is looking to grab a share of the financial inclusion market. The remittance service will be first available in Hong Kong and the Philippines. This will be the “first blockchain-based cross-digital wallet remittance service” and is offered through AlipayHK in Hong Kong and GCash in the Philippines. As core partner bank, Standard Chartered will act as the settlement bank for AlipayHK and GCash. The bank says it will provide instant foreign exchange rates and liquidity to enable real-time fund transfers between the two licensed wallet service providers. Using the blockchain technology developed by Alipay, the service will allow individuals to remit money between Hong Kong and the Philippines “within a few seconds”. To justify this partnership, the duo roll out some stats. According to the Census and Statistics Department, there are over 180,000 Filipinos in Hong Kong, which is the biggest foreign community in the city. In December 2017, Standard Chartered reminds people that it signed a memorandum of understanding to combine its banking knowledge and insights in emerging markets with Ant Financial’s “techfin” capabilities, to “increase access to financial services” for clients based in countries along the “Belt & Road Initiative” route.